Making a mistake during a surgical procedure. Allowing the patient to be the victim of an accident whilst under the care of a healthcare establishment. Causing a delay which leads to the patient not receiving treatment rapidly enough. These are some of the most common ways that medical negligence can occur. However, this is by no means an exhaustive list. If you believe you have been the victim of some form of medical malpractice, call Legal Expert today so we can evaluate your specific case and let you know whether we believe you have a valid compensation claim. Was the medical professional who caused the clinical negligence responsible for caring for your health? Did the medical professional responsible for caring for your health fail in this duty in some way, which resulted in a negative effect on your health? Could the failure of duty have been avoided in any way? If you can answer yes to all three of the questions above, then it is very likely you have a valid reason to make a compensation claim for medical negligence. Legal Expert operates a national claims service which is available to residents of Lincolnshire. We have a proven track record in winning the most possible compensation for our clients in tough medical negligence cases. Call us today so we can begin the claims process and get you the compensation you are rightly due. When you are considering using local Lincoln medical negligence solicitors to represent you in a medical negligence compensation case, the single thing you should value above everything is their track record in winning such cases. The actual location of the legal firm means very little, it is far more important that they are experienced and capable. As an example, Legal Expert operates a nationwide claims service that residents of Lincolnshire could use instead of a local solicitor. Our track record of winning clinical negligence cases goes back over 30-years. If you would prefer to keep your options open right now, and want to check out some local solicitors, here are a couple of tips for finding a good one. If you are trying to evaluate medical negligence solicitors in Lincolnshire, the searching for and reading online reviews of any solicitor you are considering is a good first step. These impartial reviews often give some great insights into the firm. However, be aware that from time to time online reviews are faked to give a better review of a firm than is the truth. A good second step is to follow up on the reviews you have read by asking your friends and family if they know anything about the legal firm in question. There is absolutely no reason why you have to use medical negligence solicitors that are local to Lincolnshire. With modern communications methods such as email, web chat and VOIP applications such as Skype, keeping in touch with your solicitor is simple, no matter where they are located. Far more important than the location of your legal firm is their ability to claim compensation in complex medical negligence cases from larger organisations such as the NHS, and from privately operated healthcare facilities. If they have suffered from some form of clinical negligence Lincoln residents will need to find the best legal representation they can in order to have the best chance of winning their compensation claim. We believe that it is the national claims service which Legal Expert operates that will give Lincoln residents the best chance of winning their case. Our track record of making these kinds of claims goes back over three decades. Furthermore, we know how to ensure that we always claim the maximum amount of compensation possible. Below you will find information on the types of medical negligence cases we often take on. This is only a small selection, if you would like to find out if we have experience in your kind of negligence case, give us a call and we can answer your questions. 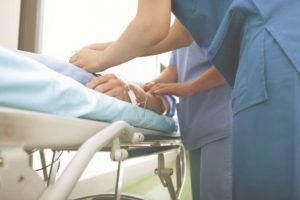 If you use medical negligence solicitors in Lincolnshire, they will need to know the process for claiming compensation against hospitals such as Lincoln County Hospital or the Lincoln BMI Hospital. This is something that Legal Expert is very familiar with. Errors during a surgical procedure. Allowing patients to become the victim of accidents due to insufficient care. Mistreatment of a medical condition leading a worsening of the patient’s health. Delays in treatment causing a worsening of the patient’s health. These are just a handful of examples. Call Legal Expert today so we can go over your specific case, and help you begin claiming the compensation you are rightly due. Dental negligence occurs when a patient is injured whilst being treated at a dental surgery. Most commonly, we see injuries caused by accidents during a dental procedure in dental negligence cases. These types of injuries are often to the face or neck and may have resulted in scarring or other cosmetic issues. When Legal Expert makes a claim for compensation in this scenario, we know that we need to claim not just for the pain and suffering of the injury, but also the psychological damage caused by being disfigured in some way. Making a claim against a GP is always a complicated challenge. Whichever medical negligence solicitors you choose will need to understand that it is likely the claim will be settled by presenting medical evidence in the form of an expert opinion. Legal Expert can arrange for its clients to receive a local medical examination by a medical expert, no matter where they are located, which can be used to prove that you suffered a negative effect on your health. Here at Legal Expert we know that a cancer negligence claim is a serious kind of medical negligence and always approach these cases with due diligence. Even a simple misdiagnosis of the type of cancer a patient is suffering from can lead to a delay in treatment, which can result in death. Legal Expert can help the dependants of a deceased cancer patient claim the medical negligence compensation they are entitled to. Of all the types of clinical negligence cases, Legal Expert takes on, care home claims are the most common. Every care home has a legal responsibility to provide a specific level of care for its residents. Unfortunately, this level of care frequently slips due to overworked staff, who are insufficiently trained, allowing a resident to be injured in an accident such as slip, trip or fall. If you or one of your loved ones has been injured in an accident at a care home, the Legal Expert can help you claim for it, no matter where in the country you are located. Although birth injuries caused by medical negligence are fairly rare when they do occur they are usually quite serious. When a baby is being born, if the oxygen supply provided by the umbilical cord is restricted, then this can result in serious brain damage which is permanent. Similarly, the mother can suffer serious injuries during the birthing process, in extreme cases, major injuries such as a fractured pelvis can be caused. The national claims service which Legal Expert offers can help families that have been affected by negligence during childbirth to claim the maximum amount of compensation possible. Below you will find a table that gives details of medical negligence claims made against every NHS trust in the Lincoln area. It shows the number of incidents and the total paid in damages. Rather than use local Lincoln solicitors, we believe that the claims service which Legal Expert operates is the best option for claiming compensation in medical negligence cases for residents of Lincoln and the surrounding areas. We offer a No Win No Fee claims service for medical negligence compensation claims. What this means is that you pay nothing to begin your claim, no ongoing costs, and if we lose your case you don’t pay anything. The only time we charge a fee is when we actually win you a compensation pay-out. If you are ready to begin your medical negligence claim, then give us a call on 0800 073 8804. We will take all of the details of your case, and then give you some advice on what to do next. In most cases, this means we will offer to take on your case under a No Win No Fee agreement. If you picked up an infection whilst you were being treated as an inpatient at the hospital, the above guide will be useful. The NHS has published information about infections that are caused by hospital procedures at the above link. What is the UK Government doing to tackle HCAI? The Government in the UK is assisting the NHS to cut down the frequency that HCAI are contracted. The link above details this.